Interview With Kuri & New Pledge Add-On! With more than 4,000 Backers and almost reaching $340,000 CAD, we are getting closer to the next stretch goal! Thank you everyone! You are making Yugo very happy! How passionate about animation are you? How much of a WAKFU fan are you? Think you may be as much as Kuri? Check out the interview of one of the pillars of Ankama's animation team... and along the way, discover a few secrets of the series. To continue celebrating your great support to this campaign, and from your received requests, we have decided to create a new special add-on. You may remember the announcement of the addition of the “Rushu Pledge” tier, which contains four special Wakfu illustrations made by four of our artists, well we would like to give you the opportunity to get your hands on them as they are exclusive to this campaign and time is running out. Now you may ask yourself the following question: “Wern't they in limited quantities?” The answer is: they are only in limited quantity for the Rushu Pledge tier, because in that case, those illustrations are actually specially signed by the artist themselves for the Rushu pledgers and therefore they will be available in limited signed quantity for that pledge tier only. The reason why we can offer them to you in unlimited quantity as an add-on, is because we have decided to offer them to you “unsigned” which means that there is no longer a need to limit their quantity and also enables us to offer them at a lower price to you. Our artists worked really hard on them and wanted to make sure you do not miss out on them to add to or complete your collection. Starting today, you will be able to get your hands on any one of those four illustrations for the Price of: $ 50 CAD / $ 45.53 USD / € 33.24 EUROS each. The illustrations will all be in A3 poster format. In case you wonder how do the pledge add-ons work we have prepared for you an FAQ article: Click Here. We hope that you enjoyed our update of the day and we are wishing you a great weekend! John Markel, Coqueluche49, and 30 more people like this update. It's always a pleasure to see the behind-the-scenes extras in regards to the animation. I have a question in regards to Add-Ons, since I'm not to familiar on how they are shipped. Are the shipped with the Pledge rewards, or are they shipped separately? Also if we selected Add-Ons for things like the soundtrack download or the exclusive WAKFU MMO item, would we be able to obtain those immediately after the survey is sent or would we have to wait until the full pledge reward is shipped? Thanks for the video. As a flash animator myself, i'm blown away by how you use the program, backgrounds animation and colors are all amazing... You give me hope for animating with flash. Will you release large digital versions of these pictures as well? I've always wanted to see how you guys do the thing on flash! If not necessarily the cheapest. Wow! I can't remember the last time I've seen a traditional animator's lightbox. Glad to see computers haven't completely taken over. The old ways are still the richest. I hope we get some more behind-the-scenes animation related extras on the blu-ray. 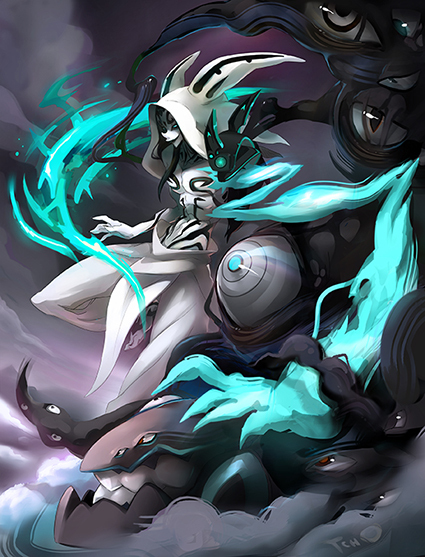 Thanks for offering these wonderful Wakfu illustrations as add-ons, at a good price. I actually preferred them to be unsigned too. @ Jonah Good: Thank you for those kind words! We are very happy that you enjoyed watching it, which is the reason why we wanted to show more behind the scenes content. Thank you ankama! I TRULY LOVE THAT VIDEO, getting to see all that behind the scenes stuff was amazing its so inspiring I only can love what you do! Hope to see more. And I can't wait for more wakfu news!